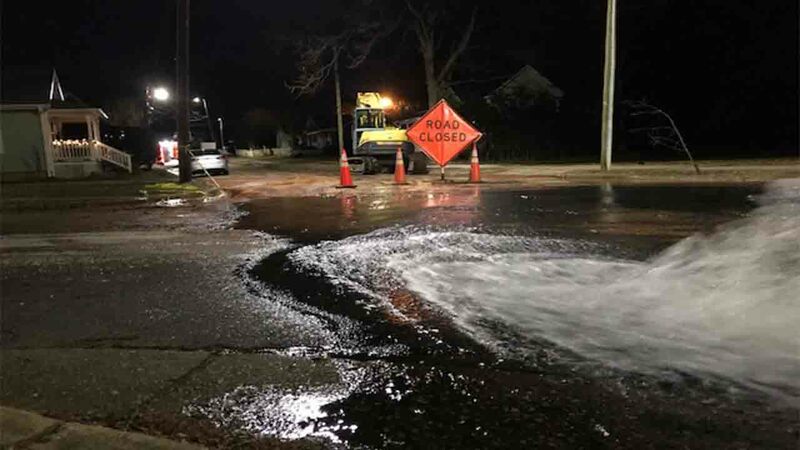 RALEIGH (WTVD) -- A water main break caused some morning delays for those driving near Cabarrus Street. Raleigh city officials said the break happened before 4:30 Tuesday morning on Cabarrus Street at South Swain Street, just east of downtown. City crews shut down part of the road to fix the break, flushing water into the street. Crews worked quickly to prevent the water from freezing on the pavement. The break was repaired before 6 a.m.
City officials did not comment on how the break occurred.